Meet Frank. His goal in life is to make humans smile. And that's exactly what he and his wisecracking pals do in this guide to living the good life—of a dog! From the creator of the popular greeting card line From Frank™, this playful book offers advice for dogs, by dogs, that's sure to brighten any human's day. Photographs accompany unfiltered insights into the weird and wonderful relationship that pets share with their loved ones. Anyone who follows Frank's advice is in for some extra belly rubs, guaranteed. 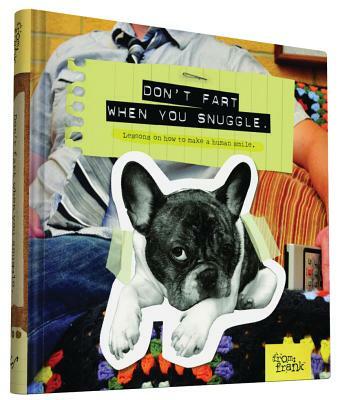 Frank is a hilarious French bulldog with a bestselling line of greeting cards and more. He and his friends live in Lafayette, Indiana.